Nail the Audrey Hepburn Brow Game! There are many ladies that struggle with achieving those beautiful big brows without looking like an adolescent teenage boy. And we all know that Hepburn’s eyebrow look was a game changer – therefore, Natasha Khan from the Makeup Suite brings you a few tips and tricks on how to achieve those bad boys! But first we shall start off with herÂ most famous eyebrow look; the extremely bold brows that she showcases in the movie SabrinaÂ (her second movie). The 1950â€™s was an era that heavily showcased bold eyebrows. Audrey Hepburn at the timeÂ followed this trend, however, she turned it into an ever lasting beauty look that has us inspiredÂ till date. So lets get to the bottom of it. I’ve discovered why these very bold brows look great on Audrey.Â For starters because her face is very small and her eyes, very large. Audreyâ€™s brows perfectlyÂ frame and compliment her eyes. If she had smaller eyes, or a larger head, then this look wouldÂ be very difficult to pull off. Thereâ€™s also another element playing in this â€“ it deals with the concept of contrasting. Â The darkÂ bold eyebrow depicts strength. 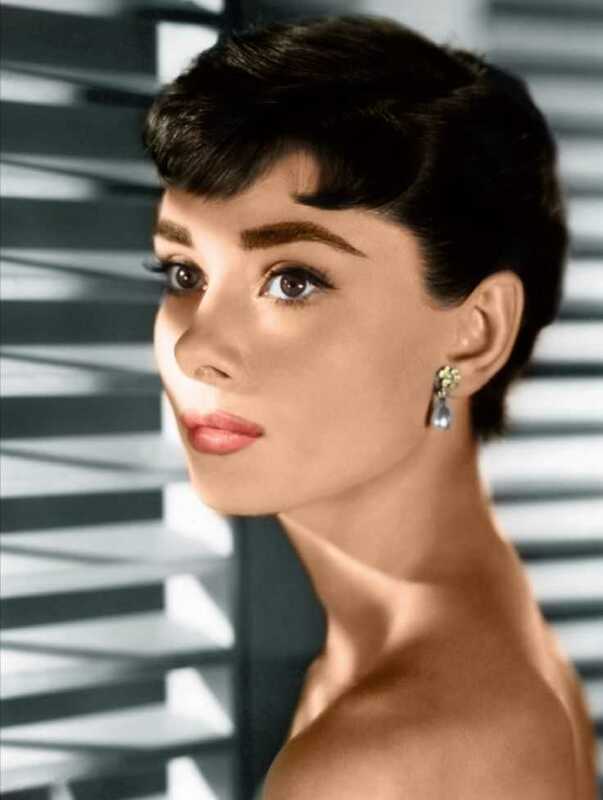 Audrey has very feminine features, petite face, large eyes, smallÂ long neck that signals elegance, subtlety, and gentleness and THEN itâ€™s paired / contrasted withÂ a a bold eyebrow that adds that perfect natural and sultry lift in her young naÃ¯ve looking face,Â striking a flawless balance and a sense of a powerful, attractive woman. Now letâ€™s create them bad boys! 1. Charmingly BoldÂ â€“Above is a great example of the â€˜blockinessâ€™ of HepburnsÂ eyebrows. The picture on the right shows how to pencil in the outline of the brow.Â Extremely Bold and Dark. This gives contrast to the face and frames the eyes. I like toÂ use Anastasia Beverly Hills Brow Wiz in dark brown to mark my points to start with. 2. 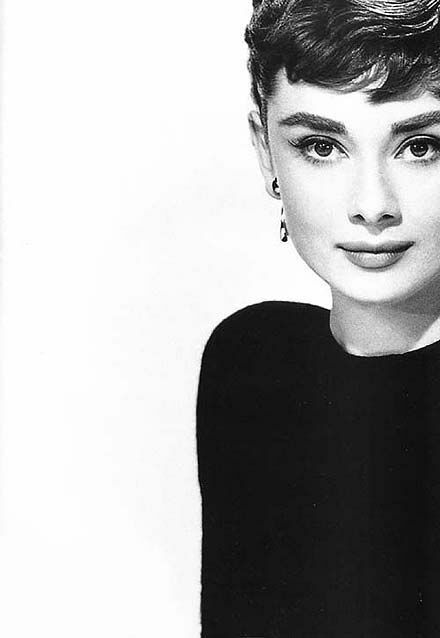 Blocky and glamourousÂ â€“ Remember, that Audrey filled in her brows to create aÂ somewhat blocky, bold look. To imitate that and set marks as starters for where toÂ fill in, my favorite product is: Anastasia Beverly Dip Pomade in Ebony. It has a perfectÂ dark umber tone without that orangey, auburn-ey undertone which I usually find inÂ every other brow tool. a) You might be trusting your eyebrow lady a bit too much, have a glimpse of herÂ brows before you sit in that eyebrow eating chair. b) Do not by all means let her use those little scissors to cut the most beautiful andÂ natural front of your brow, I like to call it the â€œfanâ€. Your brow ladyâ€™s motive there isÂ to match the length with the rest of your brow, whereas that shouldnâ€™t be the caseÂ had you not been threading/waxing too deep under into your natural brow line. I sayÂ this with belief because naturally a hair is thicker from the follicle and grows thinnerÂ as it grows, when your eyebrow lady or you cut it straight with a scissor it becomesÂ the same width all over and gives a fake razor-y look to the gorgeous front of yourÂ brows. Eeek right? 5. Couples best with them catty-almond EyesÂ â€“ For those who want to create anÂ illusion of those eyes, start by using longer lashes and simple eye shadow techniquesÂ by smudging an umber colored shadow/pencil over the top and bottom lash lineÂ instead of a clear tight line with an eye liner. End with a few coats of clear non goopyÂ mascara and an eyelash curler. 6. Let down them dark locksâ€“ Another boosting factor for Hepburnâ€™s brows are herÂ gorgeous dark hair, of course you could pair them with lighter hair but it looks bestÂ on dark hair imitating how oneâ€™s eyebrows match their hair color naturally.